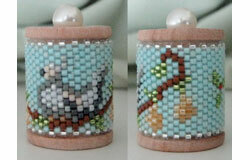 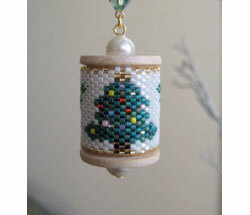 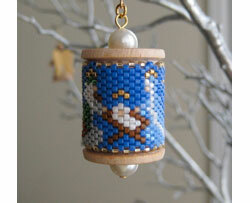 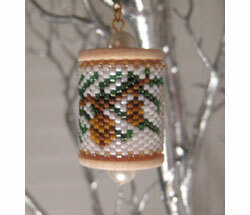 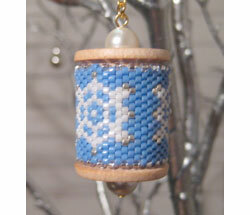 Decorate a wooden spool with a band of peyote stitch beads in 3 hours. 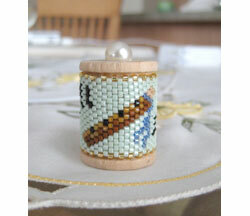 This design is a Wooden Flute with musical notes. 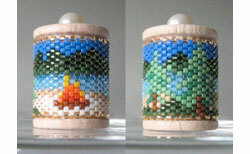 Included in this design is a dated pattern, an undated pattern, a pattern of the numbers 0-9 for year conversion, and a chart of recommended Delica beads, symbols and amount needed. 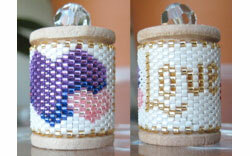 All patterns are full color. 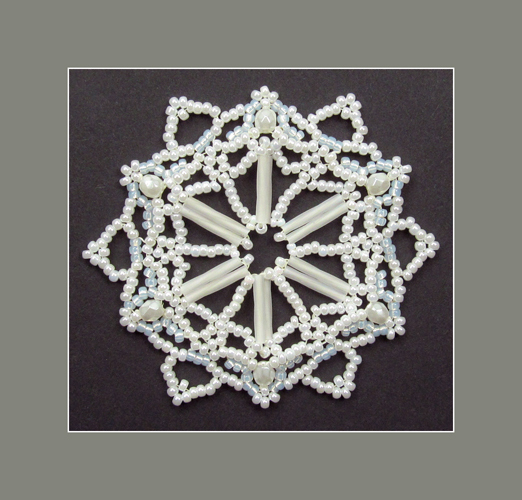 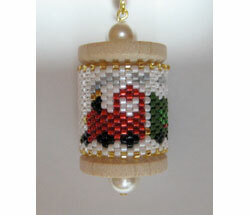 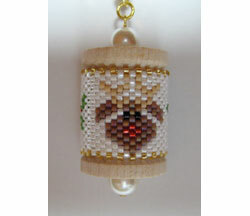 This is a Pattern only, for FREE Spool Ornament Instructions see item #13393. 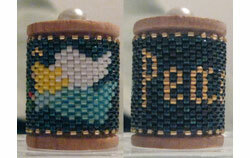 The spool size is 1 3/16" x 7/8". 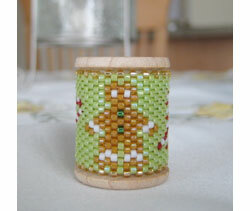 Wooden Spools are available at Sova-Enterprises.com, item 14312 (3 Pack) or item 14494 (18 Pack). 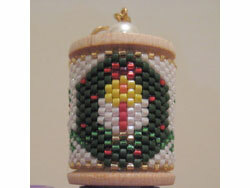 More products from Diane Masters AKA Phoenix Wolf Creations.